Note: Free Freight Applies to VIC, SA, NSW, ACT and S.E. QLD Only. The Dp Drums DP-6R single drum pedal is manufactured using a combination of the best design features. Featuring a base plate which ensures stability, while the special heel hinge offers absolutely no side movement of footplate, ensuring the utmost stability and smoothness, no matter how fast the playing. With its heavy-duty metal footplate and full baseplate, this is a solid pedal that will take plenty of punishment. The pedal features a double chain drive for smooth, consistent action, and the spring tension as well as the hoop clamp is fully adjustable. Also offering a drum key lock beater angle adjustment. The pedal comes complete with 4-sided beaters. Experiment with felt or plastic surfaces as well as the adjustable counterweights to change the bound and rebound of each strike. You're sure to get just the right feel you're looking for to ensure long, fatigue-free sessions. Drum and allen keys (which are included) are stored underneath the plates, and non-slip rubber grips complete the package. 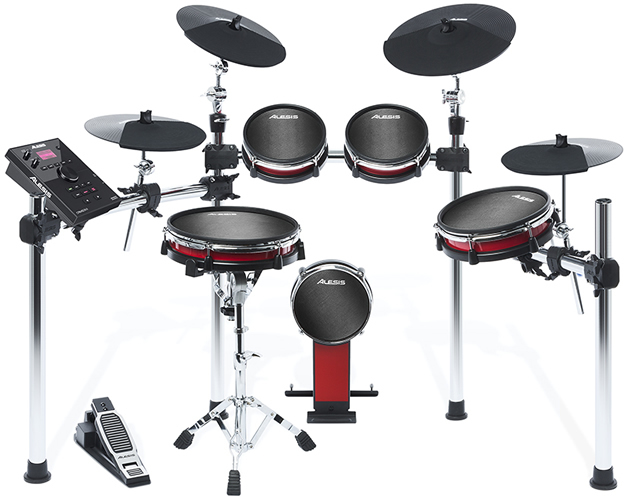 The Alesis Crimson II Kit is a Nine-piece electronic drum kit featuring exclusive Alesis mesh drum heads (U.S. Patent 9,424,827) that delivers the perfect feel and expression. 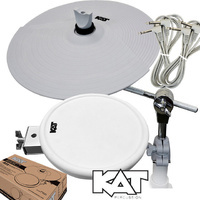 It features an 8-inch kick, 12-inch dual-zone snare, two 8-inch dual-zone rack toms and a 10-inch dual-zone floor tom, along with a 12-inch hi-hat with pedal, two 12-inch crashes with choke and 14-inch triple-zone ride. A premium quick lock chrome 4-post rack with separate double-braced snare stand keeps everything solidly anchored, no matter how hard you play! The included Crimson II Drum Module features 74 drum kits (54 factory + 20 user) with over 671 sounds and 120 play-along tracks built-in. To further sharpen your skill, there's a built-in metronome, real time recorder, and 1/8-inch input for playing along with your mobile device, so you'll be ready for the studio or stage. 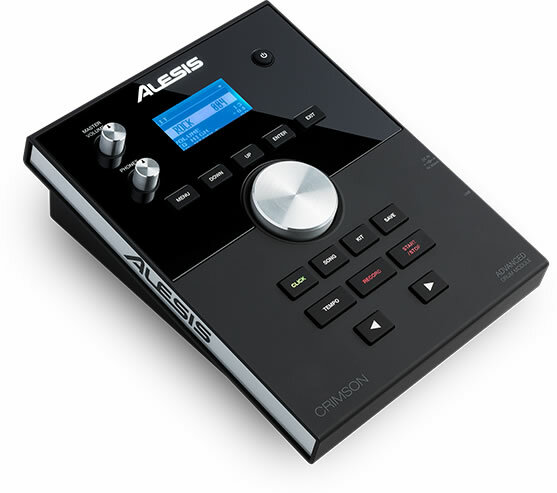 There is also a stereo pair of 1/4-inch outputs, headphone output, and a USB-MIDI output for triggering your favorite virtual instrument plugins. 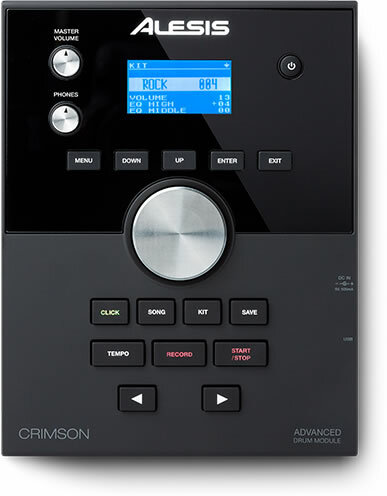 The Crimson Drum Module also features a USB memory stick input. You can use this input to load your own .WAV samples for the ultimate flexibility. Once the .WAV samples are loaded, you can easily assign these to any zone of any pad on the Crimson Mesh Kit. The sonic possibilities are endless! You can also load in .WAV files of play-along tracks using this input. Please note: This video is of the Crimson 1 kit. The drum set in this video has 1 crash only, where the Crimson 2 has 2x Crash cymbals.